Convert from cluttered paper, phone and fax to a completely electronic process that increases efficiency, saves you time and allows you to see more clients every day. Simply contact us using the form to the right and we'll show you how you can do it, too. 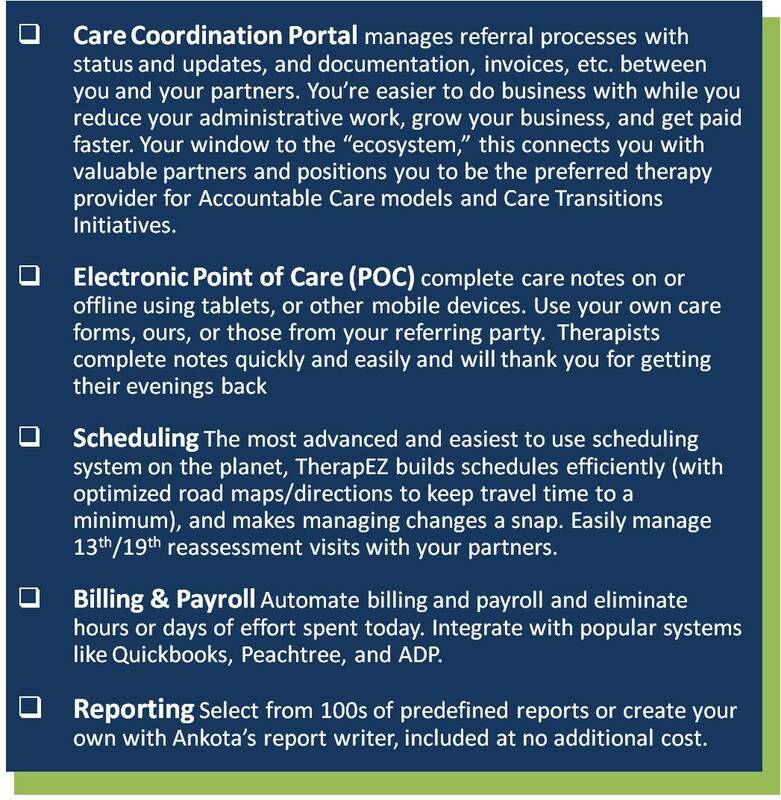 TherapEZ is built for physical therapy, occupational therapy, speech therapy and rehabilitation agencies to allow more time to provide services to patients and to reduce the time it takes to plan, track and document care, and to coordinate effectively with referral sources. Would you like to learn more or see TherapEZ in action? Use the form to the right and we will follow up with you right away. TherapEZ was built for therapists, so it works like you do to make your job easier...and it's easy to learn and use. You will be totally electronic and hassle free before you know it, and your evenings will once again be your own! Show Me a FREE Demo!